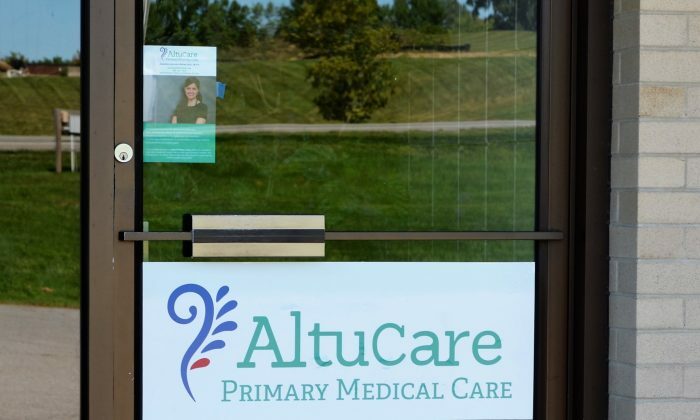 Altucare Primary Medical Care in Middletown has fixed price memberships for a family’s primary healthcare needs. Altucare costs $60 per month for a membership for adults and $20 for children. Known in medicine as Direct Primary Care, a fixed-price arrangement means the patient is not subject to any costs the doctor may incur on the patient’s behalf. A fixed-price physician service puts the responsibility for keeping costs down on the doctor. Orange County Executive Steven Neuhaus visited Dr. Jennifer Vazquez-Bryan in her medical office at Altucare Primary Medical Care in Middletown on Aug. 22 as part of his “Open for Business” initiative. According to the Altucare website, it’s “healthcare as it should be.” Vazquez-Bryan is available 24 hours a day, including via text and video messaging, and is fluent in Spanish. Vazquez-Bryan was born in Puebla, Mexico and moved to Newburgh at the age of seven. She earned both her medical degree and Master’s in Public Health degree from Rutgers University. She moved back to Orange County with her family in 2014. She said that because of the current medical system, “I was becoming burned out and [was] considering quitting medicine altogether” before she started her own practice last October. “Opening this practice gives me an opportunity to take time with my patients and give them the attention they need,” she said. Direct Primary Care “allows patients to see a physician without worrying about extra costs, co-pays and deductibles for routine care,” Vazquez-Bryan said. Seeing a doctor is meant to be simple at her office: “No middlemen. No gibberish. No hassles. No co-pays, no deductibles, and no co-insurance payments. No more visits to urgent care or walk-in clinic,” according to the FAQ section on her website. Altucare does recommend a person have a major medical plan and a health savings account in the event of hospitalization or referral to a specialist. “Our membership fee allows us to provide the vast majority of a patient’s primary care in an innovative way with a simple, fixed price,” Vazquez-Bryan explained. We have returned family medicine to its root values of clinical excellence and compassionate care for every patient. Patients may cancel their membership at any time. There are other unique features. Visits are usually an hour long, on time with usually no follow-ups. Dr. Vazquez-Bryan is available evenings and weekends.